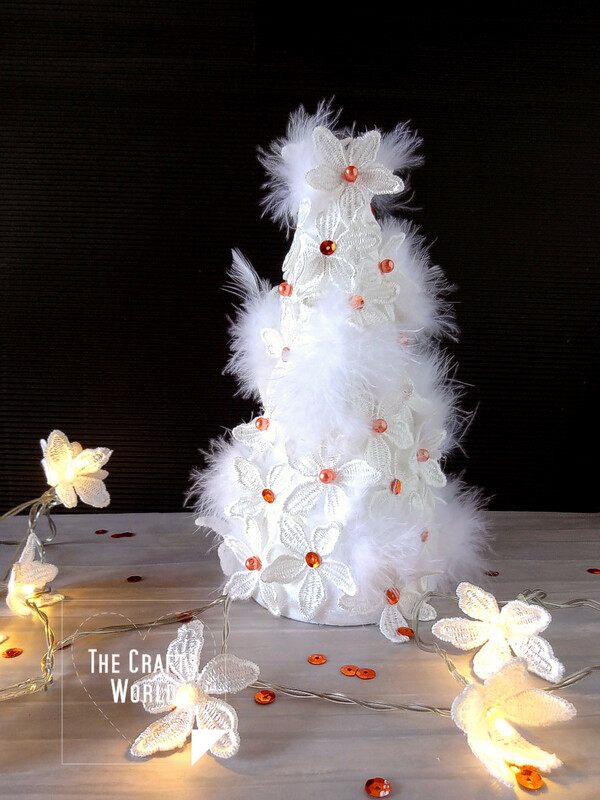 A fluffy Christmas tree made of white feather strings and white lace flowers is an alternative way to decorate for Christmas, but still impressive. Add a quick to make flowers light string to match the tree. 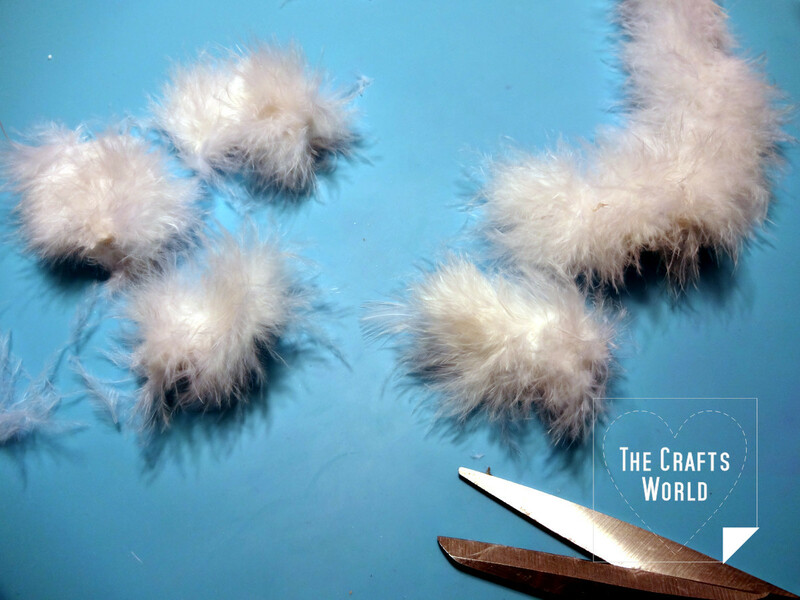 Cut small pieces of the feather stings of about 3-4cm long. 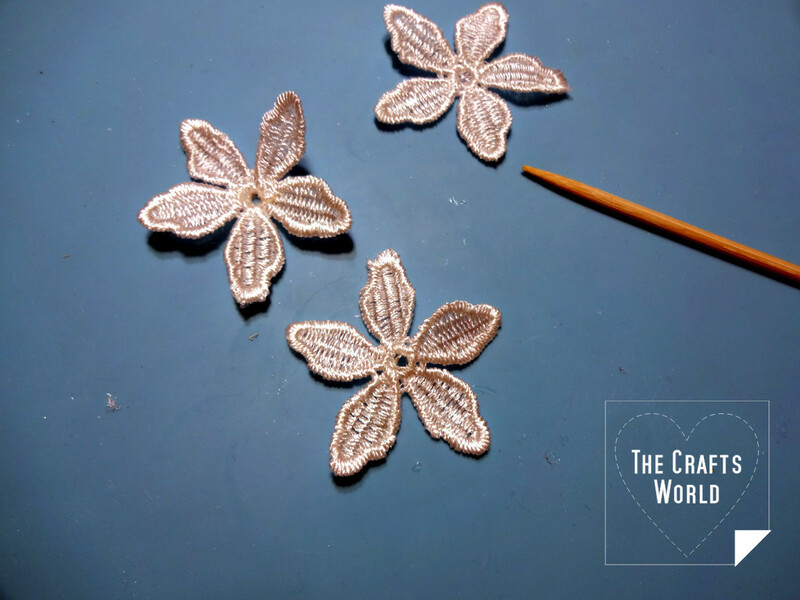 Separate the lace flower from the string. 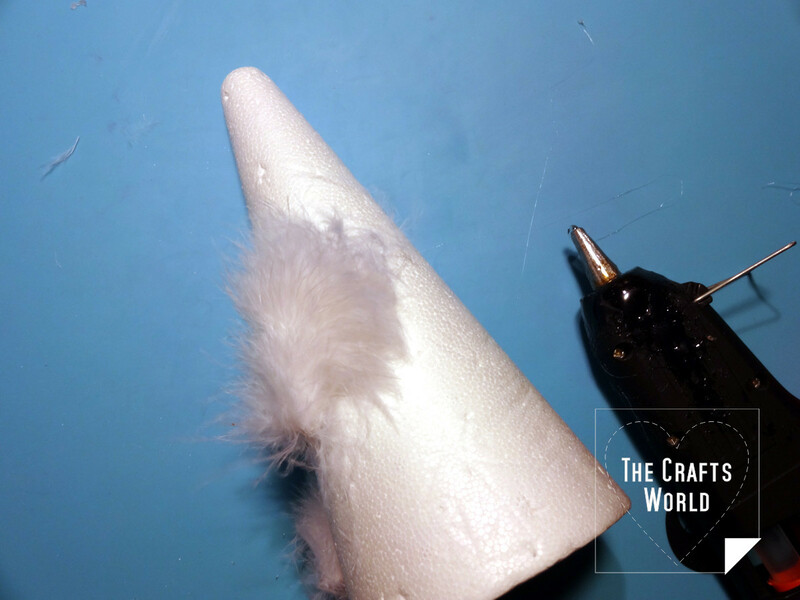 Use the hot glue to set the feather on random place on the cone. 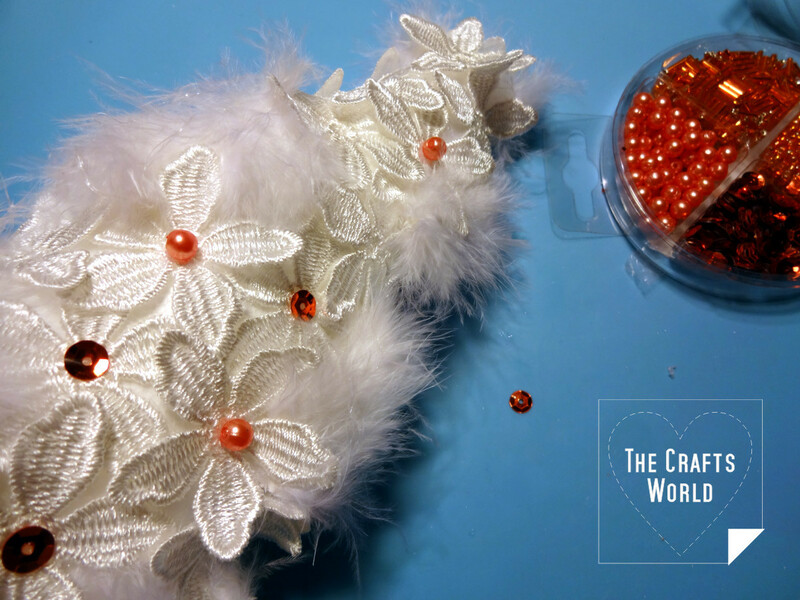 Add beads and sequins using the jewellery glue. 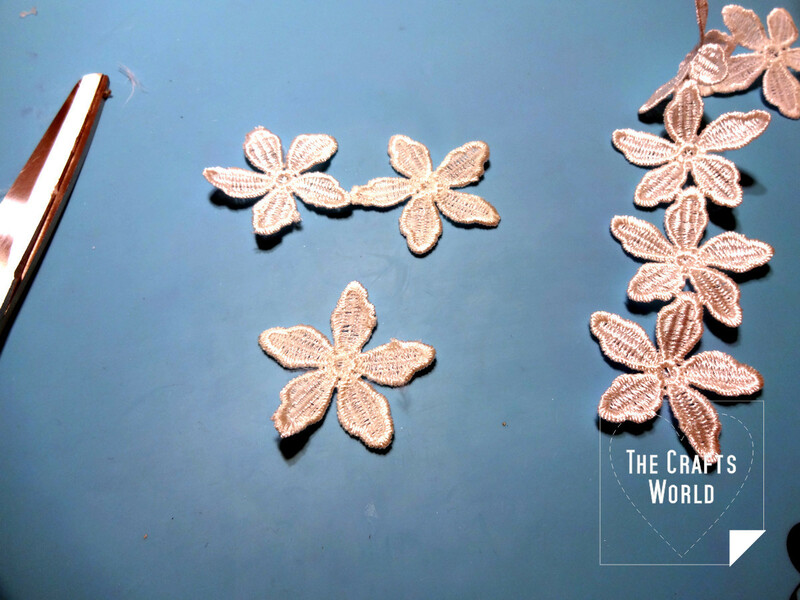 Cut 5-petal flower from the lace as many as the bulbs on the lights string. 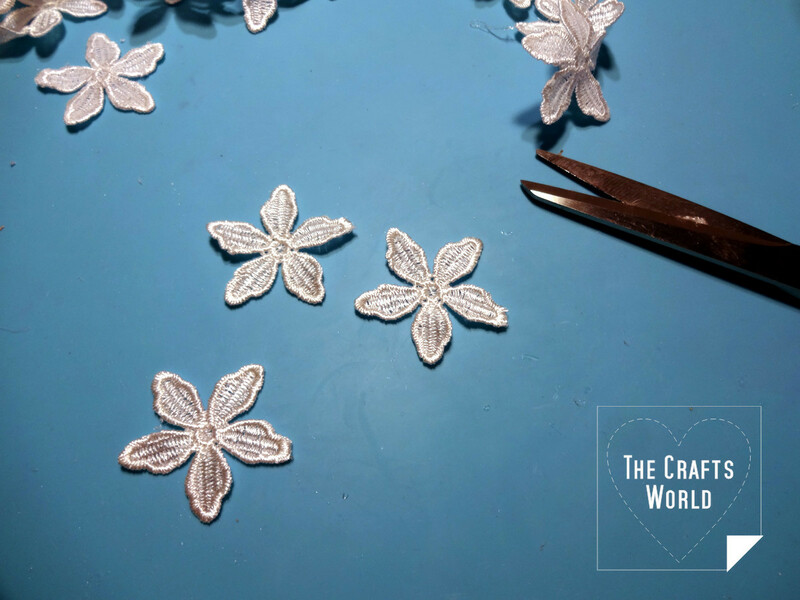 Use a bamboo skewer to make an opening in the center of the 5-petal flowers. Place a flower on each bulb. 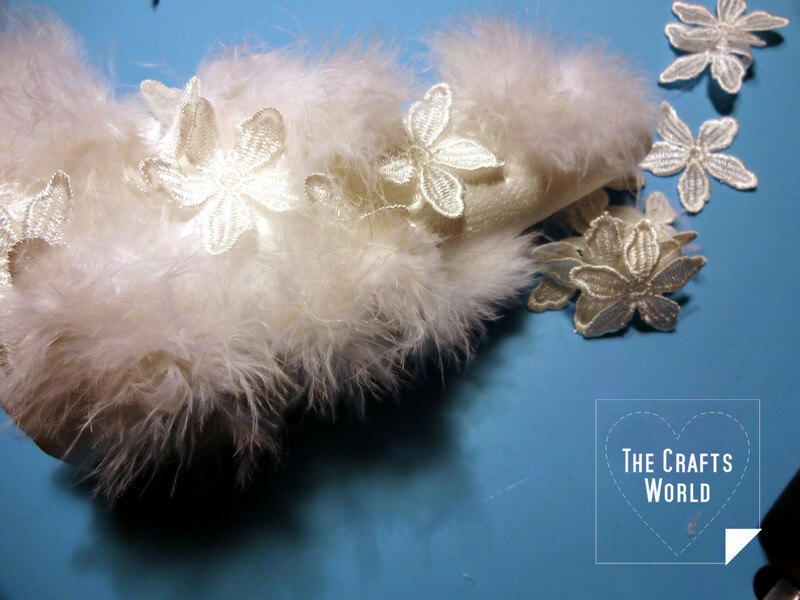 The lace will tight a bit, keeping the flower on the light. 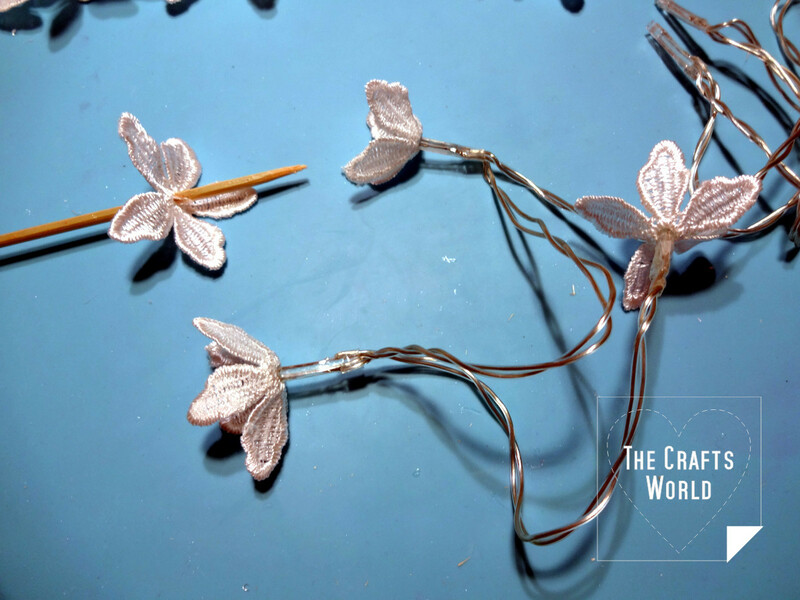 Alternatively, just a drop of hot glue will set the flower.